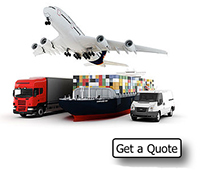 Transportation Business Insurance--Delaney Insurance Agency, Inc. Whether by land, rail, air, or water, commercial transportation is driving today’s economy. Innovative companies are hiring more drivers and continuing to search for the next sustainable, efficient transportation solution. With the increase in innovation and people, comes increased risk. Our dedicated industry specialists are committed to developing timely products and services that help today’s transportation companies manage their exposures with the utmost efficiency. Delaney Insurance Agency, Inc. works with clients to design standard and specialized casualty programs developed to minimize gaps and duplication of coverages to the extent practical, minimize exposures and reduce claims and overall loss costs. As our client, businesses get where they want to go—faster, more efficiently and with a genuine partner committed to the transportation industry. You can also benefit from on-site visits with our in-house, risk engineering consultants, who provide assistance in meeting your safetyl obligations and offer recommendations to safeguard your equipment and property against risks.